§ 440.021 Exemption of workers’ compensation from chapter 120. § 440.108 Investigatory records relating to workers’ compensation employer compliance; confidentiality. § 440.132 Investigatory records relating to workers’ compensation managed care arrangements; confidentiality. § 440.134 Workers’ compensation managed care arrangement. § 440.207 Workers’ compensation system guide. § 440.34 Attorney’s fees; costs. 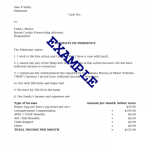 § 440.345 Reporting of attorney’s fees. § 440.386 Individual self-insurers’ insolvency; conservation; liquidation. § 440.44 Workers’ compensation; staff organization. § 440.50 Workers’ Compensation Administration Trust Fund. § 440.585 Workers’ compensation group self-insurance fund application disclosure.